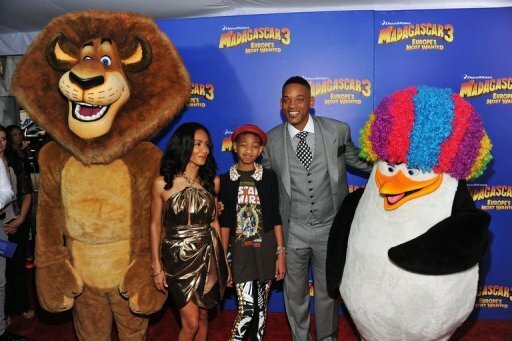 "Madagascar 3: Europe's Most Wanted" retained its crown as king of the box office over the weekend. For the second week running, the cartoon romp starring Ben Stiller that sees the animals rampage through Europe with the help of a run-down circus as they try to return to a New York zoo stayed at the top of the charts The movie raked in $35.5 million over the weekend. Ridley Scott's hotly anticipated sci-fi adventure "Prometheus" remained in second place with $20.2 million, the box office tracker said, adding that the prequel to the "Alien" movies had now pocketed some $88.8 million. The duo's grip on the charts, saw "Rock of Ages" starring Tom Cruise and many stars enter at third place earning just $15 million on its opening weekend, despite weeks of pre-release publicity. "Snow White and the Huntsman," starring Charlize Theron and Kristen Stewart of "Twilight" fame, dropped down to fourth place with $13.8 million. It has total takings of $122 million so far. Meanwhile, Adam Sandler in comedy "That's My Boy," which has been panned by the critics, entered the charts in fifth place with $13 million.The reunion of Will Smith and Tommy Lee Jones as secret agents battling aliens living on Earth in the sci-fi comedy sequel "Men in Black 3" took $10 million for the sixth spot.